If director McG hired Central Casting to fill the dining room of CdM, his new restaurant, with extras who resembled stereotypical Newport Beach-types, the result would be exactly what I saw the night of my visit. At the bar, I saw thirtysomething blondes in ripped jeans sipping cocktails, their arms around boyfriends with chiseled jawlines. In the booths were older versions of those couples. If you aren’t a movie buff, McG is also known as Joseph McGinty Nichol. And he’s the guy who remade Charlie’s Angels into a movie with Cameron Diaz. 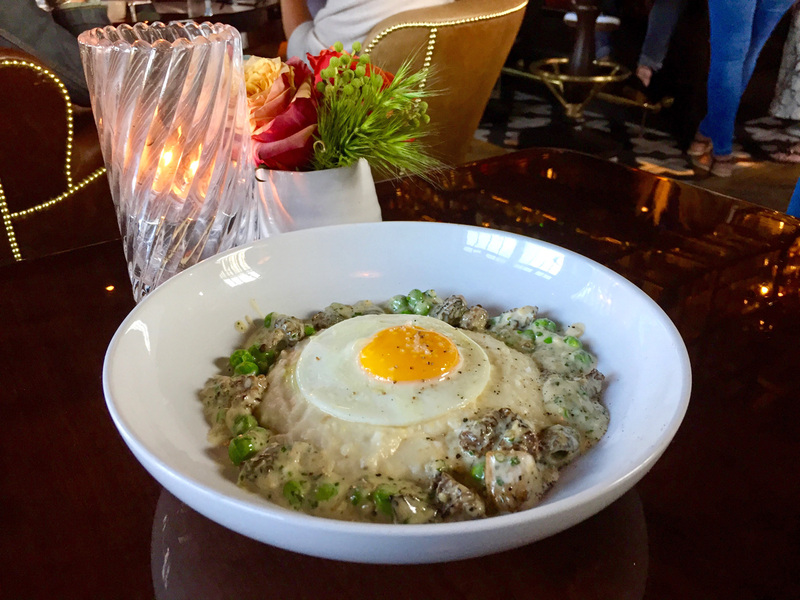 Along with being a Hollywood player, he and his partner Jordan Otterbein are also the restaurateurs behind Newport Beach’s A Restaurant, which opened about 11 years ago as a revival of the Arches, a landmark that once served the likes of John Wayne. The fact that A has lasted this long proves that McG was just as successful with his first restaurant remake as he was with his movie one. It remains to be seen, however, whether CdM is going to be a worthy sequel to A. Other than executive chef Jonathan Blackford, the only thing CdM has in common with A is an aversion to whole words. The main dining room is much more compact than A’s. If a bar wasn’t in the middle, you could toss a football to a person on the other end with little effort. But when the new owners took over the space once occupied by the Crow Bar, they added areas. On the side of the building and down a staircase, they’ve built a separate first-come-first-served area that’s called “The Speakeasy.” It has a small bar in one corner, an ancient-looking photo booth in the other. There’s also apparently a 500-square-foot dining room hidden somewhere upstairs for private parties. I’ve not yet located that private room because when the reservations book up three weeks in advance, you don’t ever want to leave your table to go exploring lest they give it away. So for two hours, I remained cocooned in my booth, watching the ebb and flow of guests. But it wasn’t because I was particularly interested in people-watching, but rather because the kitchen was lagging. The first couple of dishes came out scarcely 10 minutes after I ordered them, but it took 30 additional minutes for the pasta to arrive, and yet another 30 minutes before I saw my main entrée. It’s a testament to how good the food is that I am able to forgive the lost time. Blackford’s cooking is rich at times and over-the-top in others. And sometimes, as with his Morels + Peas dish, it’s both. He starts with warm polenta, surrounding the cornmeal mash with butter-sautéed morels and peas. Then comes a fried egg so superfluous but yet so perfectly made the yolk begs to be pierced on Instagram. 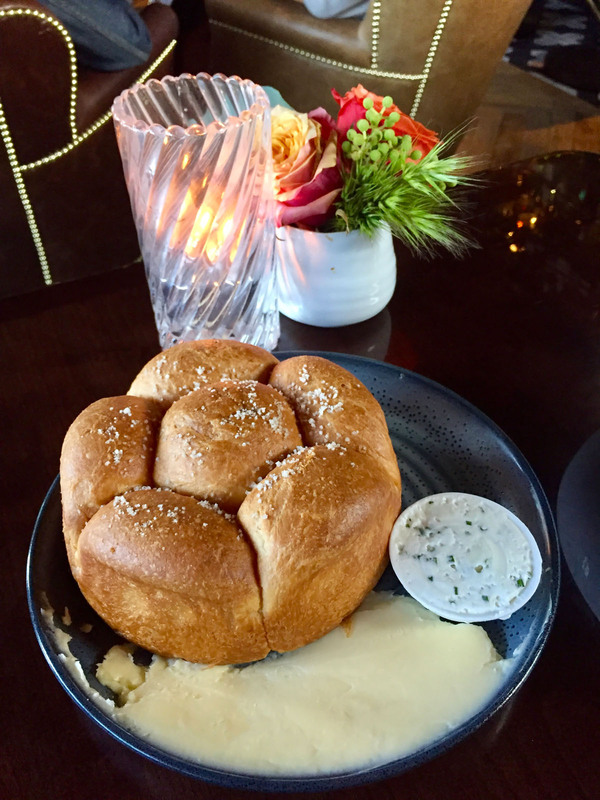 The richest dish has to be the Parker House rolls, baked as a pull-apart flower. If you’ve never had one before, think of a King’s Hawaiian roll, but with so much butter worked into the dough it leaves your fingers greasy. It’s overkill to even think about spreading on more butter, but that doesn’t stop Blackford from offering the rolls with Buerre de Baratte. He smears the deep-yellow French butter on the plate next to a separate ramekin of A5 tallow, which is even more unnecessary. I barely used either, but the next day, when I spread the tallow on plain white toast, I swore I was eating an In-N-Out hamburger. 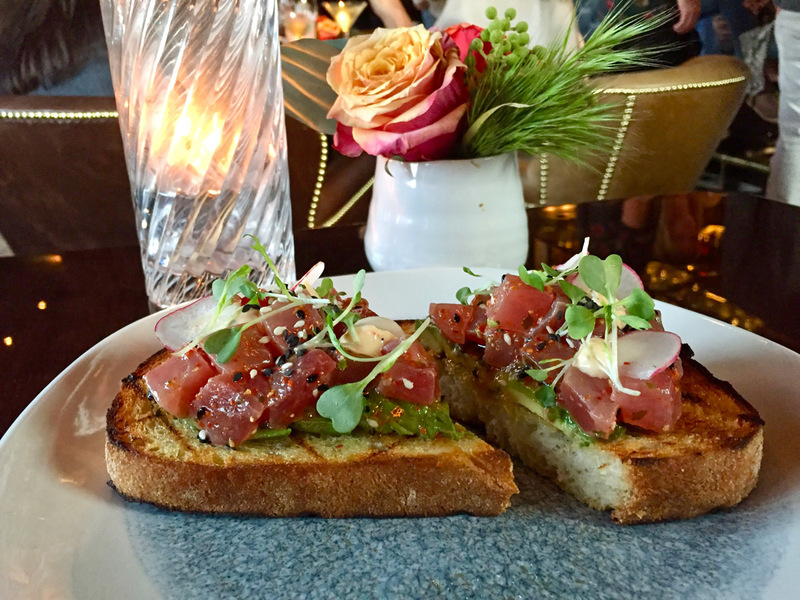 A much lighter starter is the local ahi tartine—essentially tuna poke riding atop a thick piece of toast that it could’ve done without. The subtle flavor of the tuna gets so muffled against the bread that the fish might not as well be there at all. 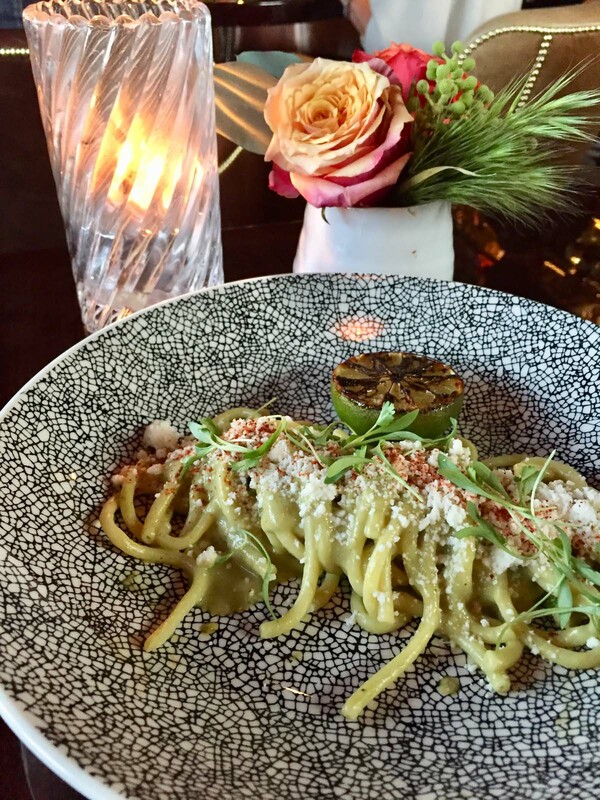 For one of his better pasta dishes, Blackford uses Hatch chiles and cotija cheese to Mexicanize bucatini—those thick, hollow-like-a-straw noodles that are always so much fun to eat. The spicy and complex roasted green pepper, along with cilantro and lime, balances what could’ve otherwise been just another cheesy pasta dish. The Pork + Beans, which unfortunately came out 90 minutes after I ordered it, is still a revelation. It’s Blackford’s spin on carnitas, complete with crispy edges on the roasted pork shoulder that’s served with thumb-sized borracho beans and a lime-dressed avocado salad that’s basically guacamole. But even on this dish, Blackford chooses to up the ante and add flawlessly cooked coins of pork tenderloin so uniform in texture they could’ve been bologna. The dish isn’t supposed to be about the tenderloin, but just as with Bill Murray as Bosley, I’d miss it if it weren’t included the next time I order it. And I think we can all agree that Murray was one of the best things about McG’s Charlie’s Angels. CdM 2325 E. Coast Hwy., Corona del Mar, (949) 287-6600; cdmrestaurant.com. Open daily, 5-10 p.m. Dishes, $8-$120. Full bar.